Sony's pledge to allow previous-generations of games to be played on the PS4 through its cloud-streaming service Gaikai won't be fulfilled in Europe until at least 2015, the company has admitted. 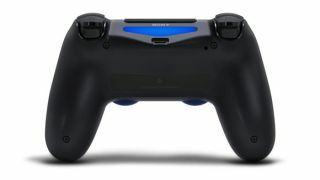 The company's highly-touted answer to the PS4's lack of backwards compatibility is on track for a US launch at some point next year, but the prospect of a European roll-out is far less certain. Speaking to EDGE magazine Jim Ryan, Sony Computer Entertainment Europe's president and CEO, said issues relating to broadband connectivity must be figured out before the streaming can operated reliably. Ryan said there was no timeline to launch the service - which will eventually allow PS One, PS2 and PS3 games to be played on the PS4 - in Europe just yet, but a roadmap was in play. He said: "So the plan is to begin with North America next year and the plan is to provide a streaming service that will allow for PS3 content initially to be streamed to firstly PS4 then PS Vita and then PS3. And so that will happen in 2014 in North America initially. "Now, and I touched upon these issues of broadband in Europe during the presentation – Europe is of course on the roadmap for that service to be deployed at some point in the future, but for reasons outside of our control we don't yet have a timeline for it." Ryan added that Sony avoided all mentions of Gaikai streaming during its recent Gamescom press event to ensure Euros wouldn't get too excited by a feature they face a long wait to receive. He added: "So at a show which is now pretty global in its reach but primarily aimed at a European audience, we didn't really want to start talking about the virtues of this great cloud-based service without knowing exactly when it'll come to Europe." When pressed again he said there was "nothing to say yet." The news will be somewhat of a disappointment for prospective PS4 buyers, enamoured with the prospect of keeping their old PlayStation libraries alive on the new console, from early in its life-cycle. On the other hand, the Gaikai streaming plan has always been pitched as a work in progress. It just seems that a lot more progress is needed before those outside the US will be able to jump on board.